After Lou Boxer and Matthew Louis tested the waters with the successful 2012 anthology, Atomic Noir, the two impresarios have re-teamed to create Noir Riot, the official journal of NoirCon, to be published by Gutter Books. NoirCon, which has taken place on even-numbered years since 2008, is produced by Lou Boxer and is among the most popular crime fiction conferences in the U.S. Gutter Books, the brainchild of Matthew Louis, is a small press dedicated to high production values and the edgier possibilities of the written word. Noir Riot aims to bring readers a biennial (that's every other year), up-to-the-minute picture of the noir/hard-boiled universe in a high quality, easy-access format. The editors are looking for fiction, nonfiction, and even poetry that explores the relationship between classic crime fiction and the issues that affect all of us today. Overseeing the operation as managing editor is Cullen Gallagher, a Brooklyn-based freelance writer, expert on all things noir, and regular contributor at the Los Angeles Review of Books. The different sections will feature either editorial advisement or writing by heavyweights such as Duane Swierczynski, Ed Petit, Dennis Tafoya and Alan Guthrie, with more participants to be announced as the first issue takes shape. The official launch of the journal, which will be distributed in print throughout the U.S. and Canada, will be held at NoirCon 2014. Submissions open July 1. 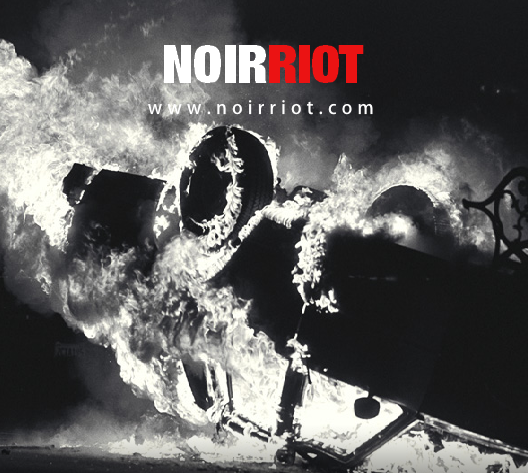 If you're interested in contributing, contacting the Noir Riot team, or learning more, visit www.noirriot.com, and check back regularly for updates.